Small size infrared handheld dryer equipped with an IRK emitter. This device can be made tailored according requierements of the product to treat. 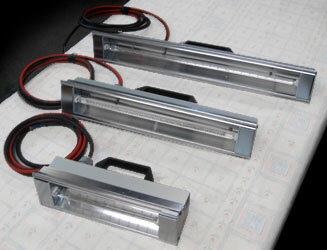 Elliptical aluminium extruded electropolished optics with heatsink for ideal dissipation of the heat. Direct working: Plug and use. *Optional: Other lamp power and wavelengths.